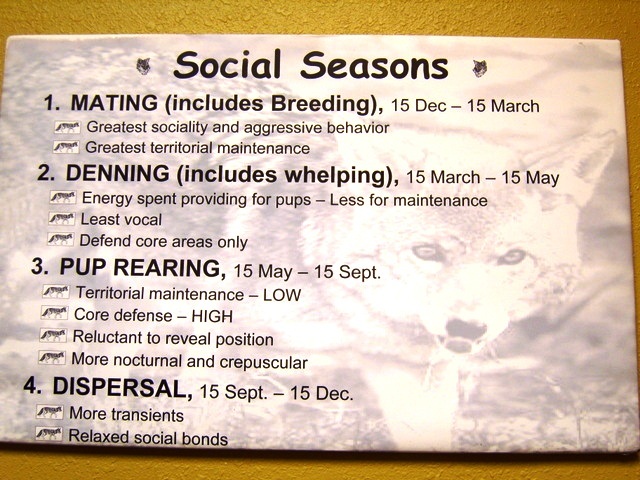 Due to our knowledge of Urban Coyote Issues … we have been published. Click the link provided below to read the full abstract. ABSTRACT: As coyote (Canis latrans) conflicts with human interests grow across the United States, wildlife control operators (WCOs) have begun to service the coyote control market. But coyote control poses great risks to wildlife control operators as it is fraught with challenges ranging from animal welfare issues to public relations. Greater awareness, training, and sensitivity on the part of service providers can go a long way to decrease public misperceptions of coyote control methods. This paper reviews the key qualities that characterize successful coyote control companies. Coyote-dog and coyote-wolf hybrids exist in some areas and may vary greatly from typical coyotes in size, color, and appearance. Also, coyotes in the New England states may differ in color from typical western coyotes. Many are black, and some are reddish. These coloration’s may partially be due to past hybridization with dogs and wolves. True wolves are also present in some areas of coyote range, particularly in Canada, Alaska, Montana, northern Minnesota, Wisconsin, and Michigan. Relatively few wolves remain in the southern United States and Mexico. Coyotes are the most common and most serious predator of livestock in the United States. They prey on big game, livestock, rodents, wild birds, and poultry. This breed of canine, has no natural predator other than themselves. Coyotes normally kill livestock with a bite in the throat, but they infrequently pull the animal down by attacking the side, hindquarters, and udder. The rumen and intestines may be removed and dragged away from the carcass. On small lambs, the upper canine teeth may penetrate the top of the neck or the skull. Calf predation by coyotes is most common when calves are young. Calves that are attacked, but not killed, exhibit wounds in the flank, hindquarters, or front shoulders; often their tails are chewed off near the top. Deer carcasses are frequently completely dismembered and eaten. Drip irrigation system users report that coyotes chew holes in plastic pipe and disrupt irrigation. Coyotes damage watermelons by biting holes through the melons and eating the centers out; raccoons, on the other hand, make small holes in the melons and scoop the pulp out with their front paws. Coyotes will also damage other fruit crops. Coyotes are susceptible to many of the same ailments as domestic dogs, and therefore can be carriers of the same diseases. Click here for a listing of canine infections. Distemper – is one of the more common and serious diseases. Distemper is a contagious, incurable, often fatal, multisystemic viral disease that affects the respiratory, gastrointestinal, and central nervous systems. It is possible for humans to contract an asymptomatic (subclinical) CDV infection. Anyone who’s been immunized against measles (a related virus) is protected against CDV as well. Heart worm – infection is a fairly common disease caused by parasitic worms living in the arteries of the lungs and heart of coyotes. In rare instances humans have also contracted this serious and potentially fatal disease. Rabies – is an acute, fatal encephalomyelitis caused by neurotropic viruses. It is almost always transmitted by an animal bite that inoculates the virus into wounds. Any coyote bite or scratch should receive prompt local treatment by thorough cleansing of the wound with copious amounts of soap and water; this local treatment will significantly reduce the risk of rabies. Anyone who may have been exposed to rabies should be advised to always contact local health authorities immediately for advice about post-exposure prophylaxis and should also contact their personal physician as soon as possible. This coyote was removed from an urban residential area in Broken Arrow, Oklahoma for killing and eating pets. Broken Arrow, Oklahoma urban coyote. This is 1 of 16 removed in two weeks at the time of this picture, for killing and eating pets in the residential development area.